Please click here for up-to-date Social Security news, as well as a legislative history of our Association's efforts to repeal both the WEP and GPO, while protecting the integrity of Social Security. Over the course of the years that our Association has been fighting to repeal Social Security's GPO (Government Pension Offset) and WEP (Windfall Elimination Provision), we have received hundreds of communications from our members and other interested parties. Here are some of the most frequent questions and our answers to them. The GPO affects members who apply for SS spousal benefits, based upon their husband or wife's work record under the program, and fail to satisfy two exceptions. 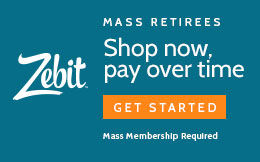 Members must either be eligible for their public pension before December 1, 1982 and meet all requirements for SS spousal benefits in effect in January 1977 (i.e., husband received one-half support from his wife), or be eligible for their pension before July 1, 1983 and receiving one-half support from his or her spouse. Unless a member satisfies one of these two exceptions, then the amount of their SS spousal benefits will be reduced by two-thirds of their public pension. For example, if your pension is $9,000 and you're eligible for $6,000 in SS spousal benefits, two-thirds of your pension ($6,000) would unfortunately reduce your SS benefits to zero. Note: Even if you do not receive actual benefits, you can still be covered by Medicare. WHEN DID THE GPO BECOME LAW? If a member doesn't satisfy the exceptions, then they are subject to the WEP, meaning that their SS benefits will be calculated using a different formula. Under that different formula, instead of receiving 90% of the first $606, which the member earned on the average each month (in this case, $545.40), the member would receive only 40% of their first $606 ($242.40) - more than 55% less in benefits. WHEN DID THE WEP BECOME LAW? WHAT STATES HAVE RETIREES HURT BY THE GPO AND WEP? In addition to Massachusetts, there are 26 states that have public retirees and employees who could be hurt by either the GPO/WEP. Like the Commonwealth, the first 6 states, listed below, have almost all or a large majority of their employees not contributing to Social Security, and, therefore, potentially affected by these laws as retirees. The remaining 20 states are ranked in terms of the percent of employees who may be impacted (66-16%). They are: California, Colorado, Illinois, Louisiana, Ohio, Texas, Florida, New York, Nevada, Connecticut, Kentucky, Minnesota, Georgia, Missouri, Michigan, Tennessee, Wisconsin, Washington, Indiana, Pennsylvania, Alaska, Maine, Hawaii, Montana, New Mexico and New Hampshire. As with any issue - be it at the federal or state level, it's vital to keep informed. And as we do with all issues of utmost interest, our Association strives to provide our members with the most up-to-date information through a variety of outlets including the Voice, our 24-hour hotline (1-800-368-8778) or the web site (www.massretirees.com). Please take advantage of these resources and remember you can call the office or your Association officers at the telephone numbers listed on your membership card. Second, timing is critical. Over the years, we have called upon members, in specific parts of the country (i.e., Florida, Maine, Vermont, etc. ), to contact their congressmen and senators on the GPO/WEP. While we do not discourage individual initiative on these issues, please act if and when we contact you - that's when we believe you can have the greatest impact.